I think we are going to need a bigger boat! 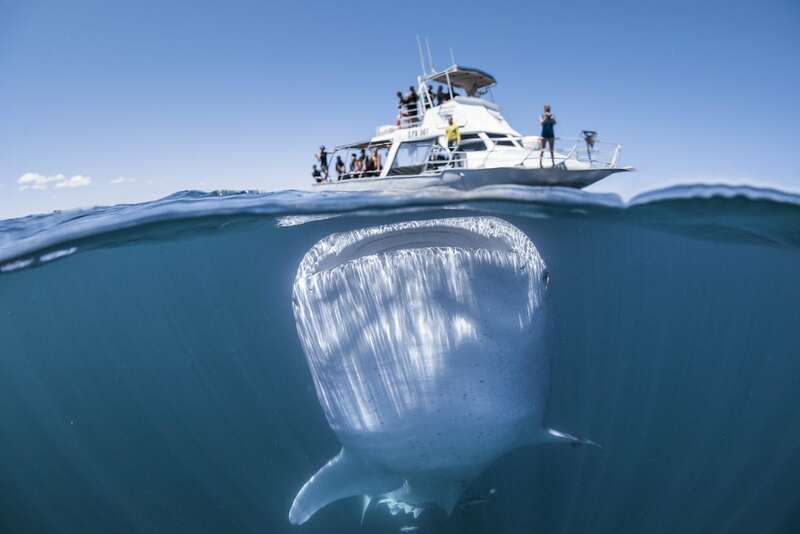 This is the amazing moment a giant whale shark is captured looming beneath a boat full of unsuspecting tourists. 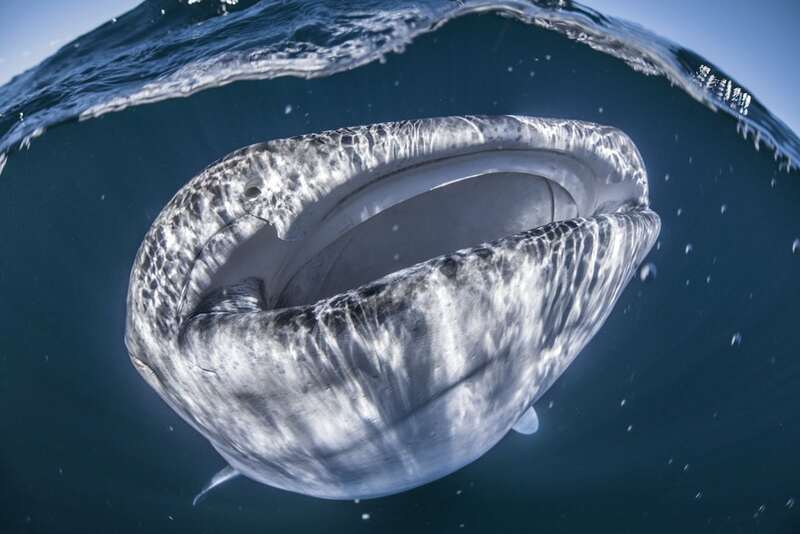 The enormous whale shark – the world’s largest species of fish – appears to dwarf the boat as it floats just below the surface in a crystal clear sea. A giant Whaleshark on Ningaloo Reef, Coral Bay, Australia 04/03/18. Tom said: “The animal in the picture is what is called a whale shark and is the largest fish on the planet. “It spends most of its time living mysteriously at depths unreachable by humans but from March until July they can be seen of the back of the Ningaloo Reef In Coral Bay and Exmouth, Australia. “The picture was taken about 6km off shore on the back of the Ningaloo Reef Coral Bay while on tour with Ningaloo Reef Dive and Snorkel. “I wasn’t scared, we swim with these guys quite a lot and people come from across the world to see them. “They are a very docile fish and will often shy away from anything they feel threatened by. “This particular shark was really curious and spent the entire 50 minutes on the surface with us chasing bubbles and checking everybody out. “This was a rare experience to have such a curious playful shark. They usually swim in straight lines in search of food. “That is one of the commercial boats that my company Ocean Collective Media take photos on board of. A giant Whaleshark underneath a boat on Ningaloo Reef, Coral Bay, Australia 04/03/18. “It charters tours to see whale sharks during the season and Manta Rays year round. “The people on board were customers and staff members who were quite amazed to see the whale shark behaving this way. “The creature isn’t dangerous. We are their biggest threat with the increasing pollution to our oceans they need our help! “I was born in Shoreham England and moved to Australia with my family when I was 13. I then moved to Melbourne and left to chase my dream 3 years ago.